A college student, on a limited budget, needed an attractive & professionally made Box to showcase her photographs to her professors & eventually, clients. After the basic design and sizes were approved, the construction particulars was left to the craftsman. 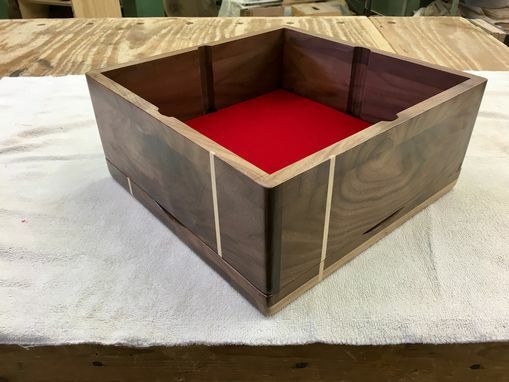 A basic Box with the overall sizes of 9" tall x 12" square was constructed; the lid fits snugly on the Box. 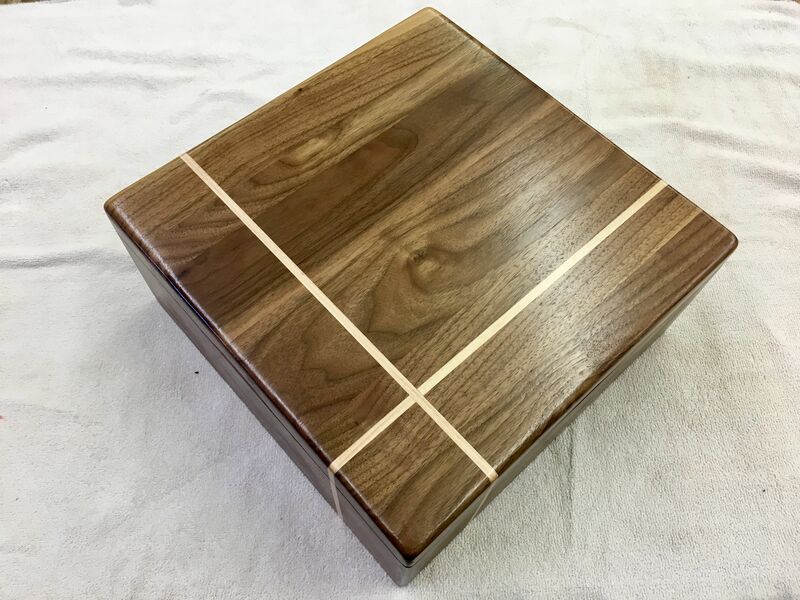 Walnut was used for the Box while an inlay of white maple was used as a contrast. 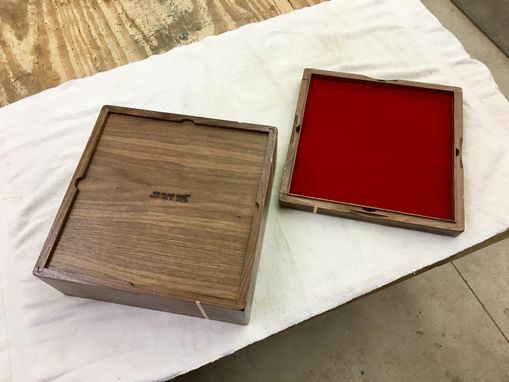 The customer requested that the inside of the Box have grooves cut so photographs could be easily displayed in various arrangements. Soft, red velvet was used to line the inside of the Box & the underneath side of the lid. Also, finger pulls were machined into the edges of the lid to allow ease of opening & access to the contents of the Box. 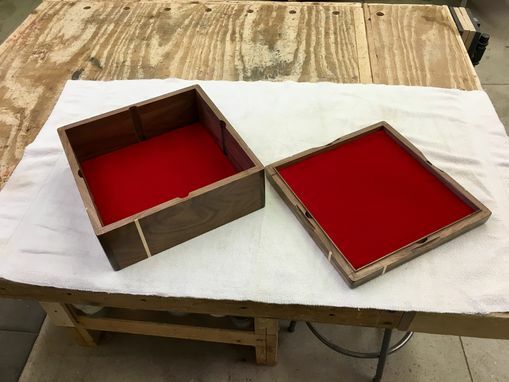 Finally, several coats of a satin polyurethane were applied to the outside of the Box, with a final coat of hand rubbed wax.